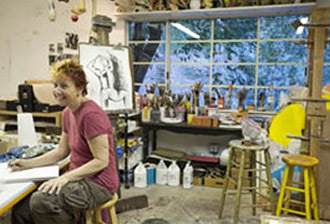 Patti Akesson, founder of Canyon Art Studio, is an accomplished, award-winning artist with more than 30 years of teaching experience. 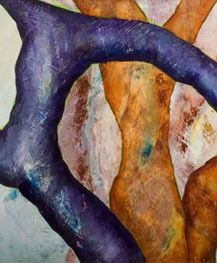 Nestled in the hills of Sherman Oaks, Canyon Arts Studio is her airy yet intimate space where students are encouraged to expand and hone their abilities. This is a place for beginners, aspiring artists and experienced artists to be inspired and learn new skills. Classes are customized to the interests of the students. Patti's promise to her students: "My unique teaching style will help you develop your hidden talents." 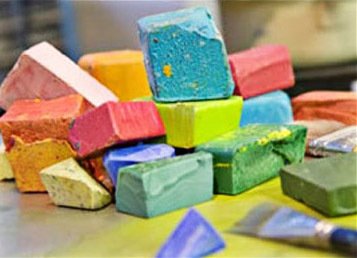 Encaustic is a dramatic medium of painting with molten, pigmented beeswax. 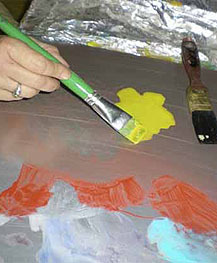 It's a versatile form of expression allowing even beginners to create a displayable, unique piece of art in their first session. "Patti is an excellent artist in her own right and has limitless patience and ideas. She helps without interfering." "Patti is an extraordinary artist and teacher. She presents her lessons with passion, verve and complete knowledge." 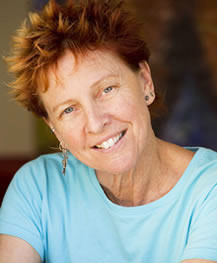 "Patti was extremely available to each student for questions and was very clear with each of her demos." "How do you say, "Most remarkable and creative and competent and skillful and lovely person/teacher I have ever had the orivilege to know"' Kudos to Patti for being such a gracious teacher."